From the 12 original surviving Japanese castles, three are located in the Shikoku island, and for a foreign visitor the most remote of them is the Uwajima Castle. Originally, there was another castle here, called Marukushi. After it was conquered by Toyotomi Hideyoshi, the domain was given to Todo Takatora, who, in 1601, erected the castle we see today, Uwajima-jō, also known as Tsurushima-jō. From then onwards, the domain knew only peaceful times, and the castle hasn’t experienced any battle. In 1614 Uwajima-jō was awarded by Tokugawa Ieyasu to Date Hidemune, the son of the famous Date Masamune, and it remained the property of the Date clan until the Meiji Restauration. 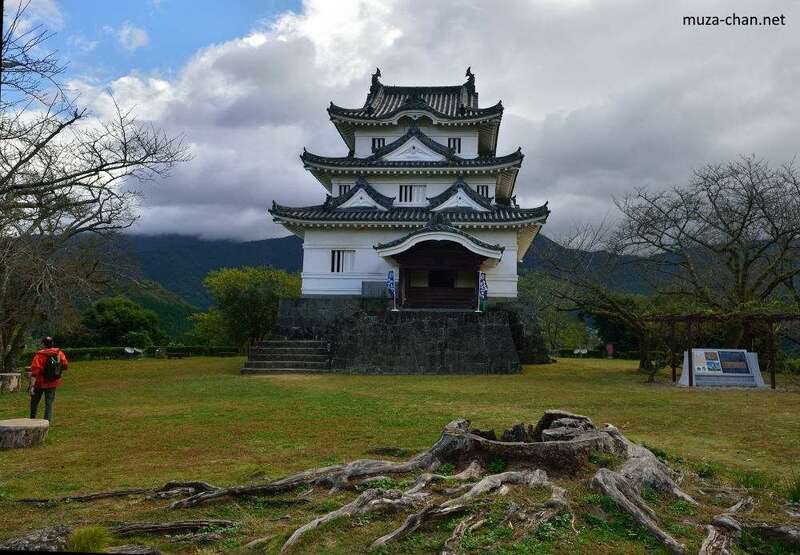 Although the castle was restored several times, its main tower is still the original one built by Todo Takatora, and it was designated as Important Cultural Property.